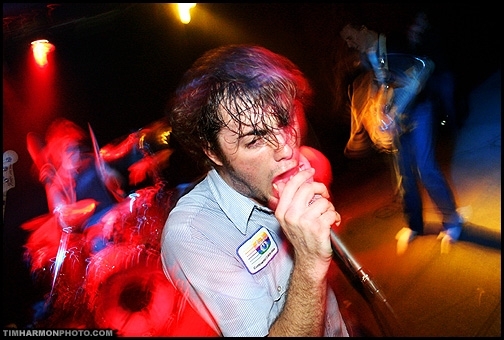 So we put up five new tracks for streaming over at www.purevolume.com/notquitebernadette! Please keep in mind that these are all demos we recently recorded ourselves, so the quality isn't quite up to par with our other available music. We've been home working on our debut full-length, "The Ruby Wizard", and we wanted to give you all a taste of our new material, and the new direction we are headed. We are writing this record in chronological order, and not rehashing any old songs, so as to be a complete and unified album flowing together and evolving, rather than a disassociated collection of songs. We hope you can find the time to listen to Track 01-04 continuously through, as intended. Track 06 is a bit different, as it is an acoustic song that we all recorded and wrote together in a single take, with a single microphone out on a backporch. We hope you enjoy them! We head into the studio from April through May once again with the amazing sound-guru, our good friend, Bob Hoag. We plan to release the record shortly after that and hit the road again for two years or so. For all of you in Arizona, we have a show coming up on April 17th at The Clubhouse in Tempe with our good friends In Passing Calvary, Movie Script Ending, Honor Bed, and more. This show is a going away party for Kathy Shellberg who is joining the United States Navy, and it will also be one of our only shows for quite a while. It's only $7 and will get started around 7:00pm, so we hope you can all make it out! Thank you all so much for your never ending support. We love you all sensational amounts and can't wait to get this new record into your hands and hit the road again to come see you! We hope you enjoy the early versions of the songs. 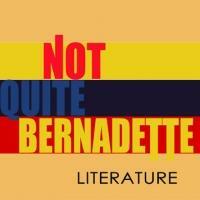 Please feel free to send us feedback, or just say hi, through email: band@notquitebernadette.com. We'd love to hear from you!